The NFL has a wealth of young talent among its current star players. Some NFL players need time to emerge. That doesn’t apply to the following group of players who have quickly become impact players and stars in the league. Here’s a look at our top 25 players under the age of 25 for the 2017 NFL offseason. 1. 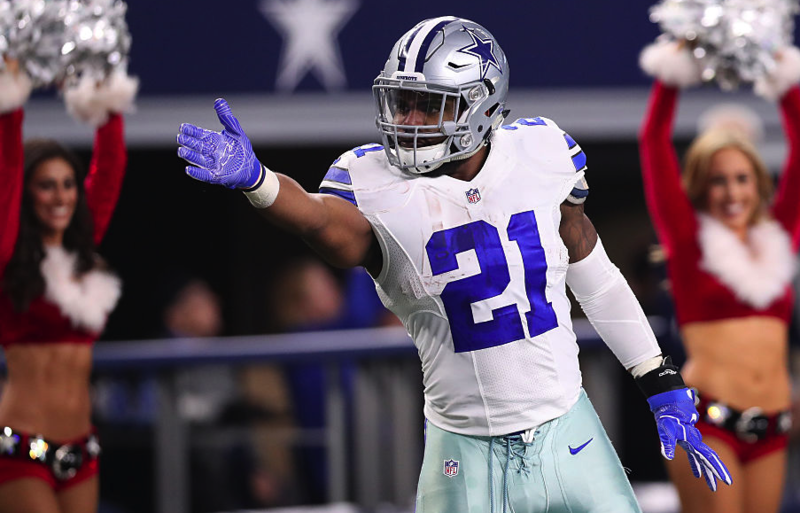 Ezekiel Elliott, Cowboys: The 22-year-old rookie led the NFL in rushing by a huge margin with 1,631 yards while also scoring 16 touchdowns in 2016. 2. Odell Beckham Jr., Giants: Make that three consecutive 1,000-yard, double-digit-touchdown seasons to start Beckham’s career. Still 24 until November, he’s already a three-time Pro Bowler and is coming off a 101-catch campaign. 3. Mike Evans, Buccaneers: And make that three consecutive 1,000-yard seasons to start Evans’ career. The 23-year-old also scored 12 touchdowns for the second time in three years last season, and he cut down on his drop rate. 4. 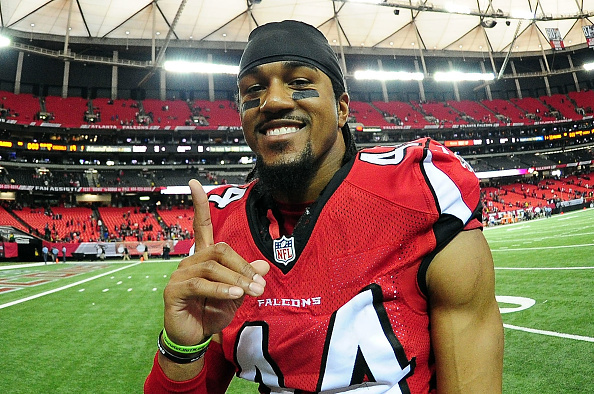 Vic Beasley, Falcons: The 24-year-old pass-rusher led the NFL with 15.5 sacks while also forcing six fumbles as a sophomore first-team All-Pro in 2016. 5. Joey Bosa, Chargers: The 21-year-old defensive end had 10.5 sacks in 12 games after missing the first four games of his first season, earning the 2016 defensive player of the year award. 6. Tyreek Hill, Chiefs: As a rookie in 2016, Hill became the first player in NFL history to score three-plus touchdowns as a receiver, a runner and a return man in one season, which is rather remarkable considering that 164 players were selected ahead of the 22-year-old in the NFL draft. 7. Landon Collins, Giants: How is the first-team All-Pro safety only 23? He was often dominant with a five-interception, four-sack, 125-tackle sophomore season. 8. Marcus Peters, Chiefs: The 24-year-old cornerback finished tied for the league lead with eight interceptions as a rookie in 2015, and he followed that up with six picks and yet another Pro Bowl nod in 2016. 9. 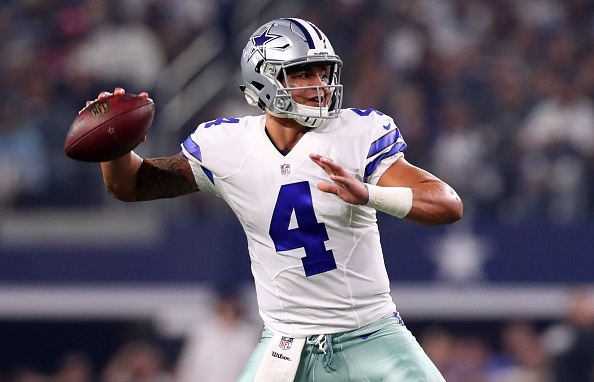 Dak Prescott, Cowboys: The 23-year-old had one of the best rookie quarterback seasons in NFL history, finishing with 23 touchdowns and only four interceptions while helping Dallas win 13 games. 10. Jadeveon Clowney, Texans: The 24-year-old former No. 1 overall pick exploded while earning a Pro Bowl nod in his third season. He still had just six sacks, but look for that number to grow significantly in 2017. 11. Leonard Williams, Jets: The 2015 No. 6 overall pick earned a Pro Bowl nod with a seven-sack, 68-tackle season in which he was graded by PFF as the third-best 3-4 defensive end in football at the age of 22. 12. Jordan Howard, Bears: The 22-year-old rookie fifth-round pick ranked second to only Elliott with 1,313 rushing yards in a Pro Bowl 2016 campaign. 13. Jay Ajayi, Dolphins: The 23-year-old running back broke out with 1,272 yards and a 4.9 yards-per-attempt average in a Pro Bowl sophomore season in 2016. 14. C.J. Mosley, Ravens: The 24-year-old two-time Pro Bowl linebacker is coming off a four-pick, 92-tackle season. 15. Brandin Cooks, Patriots: The 23-year-old went over 1,000 yards while scoring eight-plus touchdowns for the second year in a row. He’s now the top receiver in New England. 16. Amari Cooper, Raiders: The 22-year-old wide receiver has put together back-to-back 1,000-yard seasons to start his career in Oakland. 17. Jack Conklin, Titans: The 22-year-old surrendered just two sacks and was penalized just twice during a dominant rookie season at right tackle. That was enough to earn a first-team All-Pro nod. 18. Marcus Mariota, Titans: The higher-profile Titan improved steadily while nearly leading Tennessee to the playoffs as a 23-year-old in his second season. During the nine-game stretch that spanned October and November, he ranked fourth in the NFL with a 110.9 passer rating. 19. Michael Thomas, Saints: The 24-year-old is a big reason the Saints felt they could trade Cooks. He caught a ridiculous 76 percent of the passes thrown his way while going over 1,100 yards and scoring nine touchdowns as a rookie in New Orleans last season. 20. Jalen Ramsey, Jaguars: The 22-year-old corner recorded two interceptions while allowing completions on only 53 percent of the passes thrown his way during a stellar rookie campaign. 21. Jameis Winston, Buccaneers: I expected more from the 2015 No. 1 overall pick in his second season. His numbers improved at the age of 23, but he still threw 18 interceptions and lacked consistency. 23. Benardrick McKinney, Texans: Only 17 inside linebackers earned higher PFF grades than McKinney did as a sophomore last season in Houston. He excelled in coverage and run defense, and he should be even better in 2017. 24. Taylor Decker, Lions: The No. 16 overall pick was graded by PFF as the 12th-best left tackle in the NFL as a rookie in 2016. 25. Ryan Shazier, Steelers: The 24-year-old linebacker has to become more consistent, but he stilled showed signs of greatness the last two seasons and is coming off his first Pro Bowl campaign.